It is generally accepted that engagement with the workforce can lead to safer workplaces as staff become more aware of and involved in mitigating health and safety issues. Good workforce involvement (WFI) encourages staff and contractors to take part in the decision making process about managing health and safety, however achieving good WFI requires planned and sustained effort. To support safety managers and leaders in their efforts to implement effective WFI programmes, the EI has developed a series of posters to encourage colleagues to contribute to safety in the workplace. 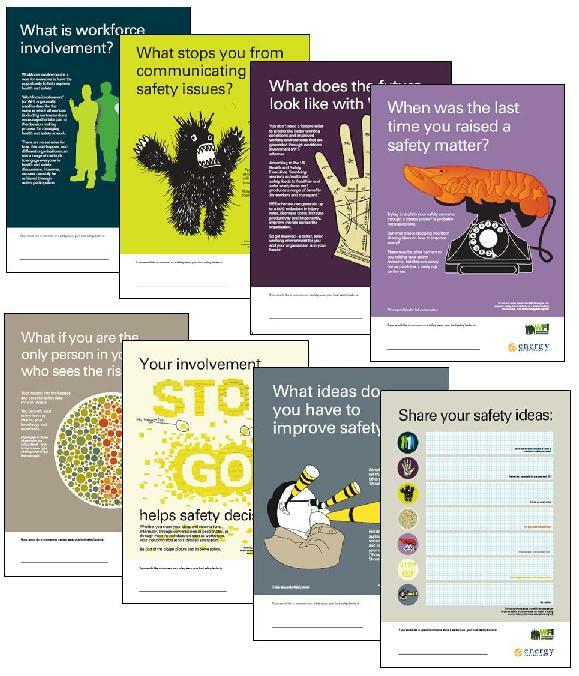 This new poster pack can be used as part of a wider WFI campaign to help build foundations that can reach beyond mitigating health and safety issues, and are supported by Guidance on running a WFI campaign and using the WFI poster pack (free to download from the EI publications website). The posters tackle a number of themes, such as: What stops you from communicating safety issues? What if you are the only person in your team who sees the risk? and What ideas do you have to improve safety? They also have a distinctive visual style, deliberately avoiding the clichés associated with safety imagery; however they are not just interesting to look at, they are designed to provoke discussion. 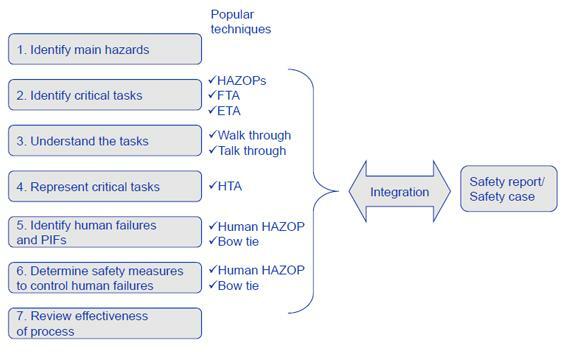 “HSE believes that effective involvement of the workforce in how work is planned and executed is a fundamental part of achieving safety goals” said Rob Miles, Head of Human and Organisational Factors, Offshore Division, HSE, and member of the EI Human and Organisational Factors Committee (HOFCOM). The WFI posters were commissioned by the HOFCOM, and are available from the EI human factors webpage www.energyinst.org/wfi. You are currently browsing the EI HOF Blog blog archives for June, 2011.